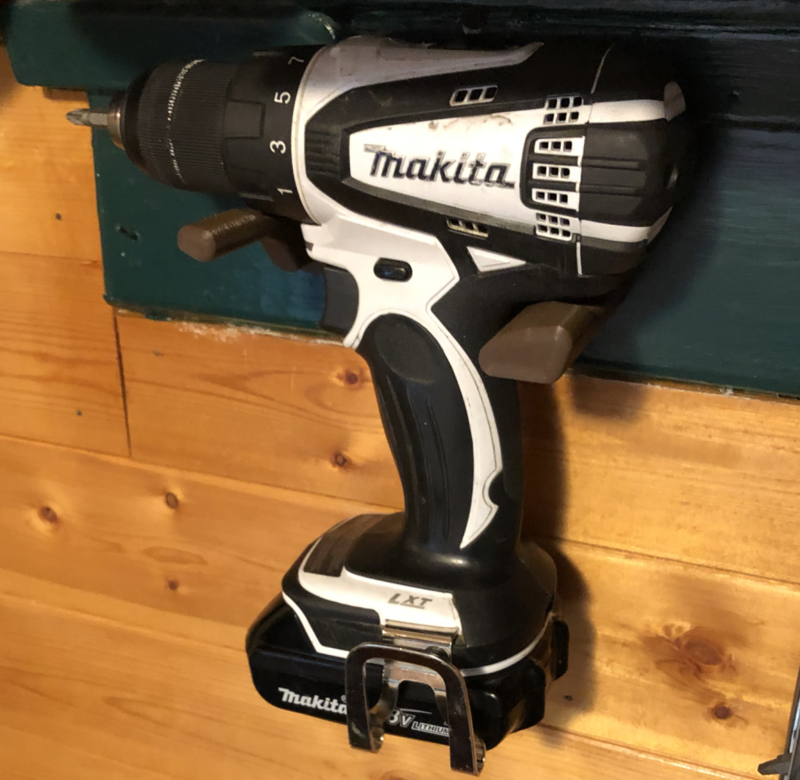 I adore my Makita Cordless Electric drills and have long since wanted to print hangers for them to go on my walls along with other valued tools. The preexisting models I could find all were kind of corny. The challenge here was the Makita drill has a super fluid shape, nothing is square to anything. The red model is what I made. 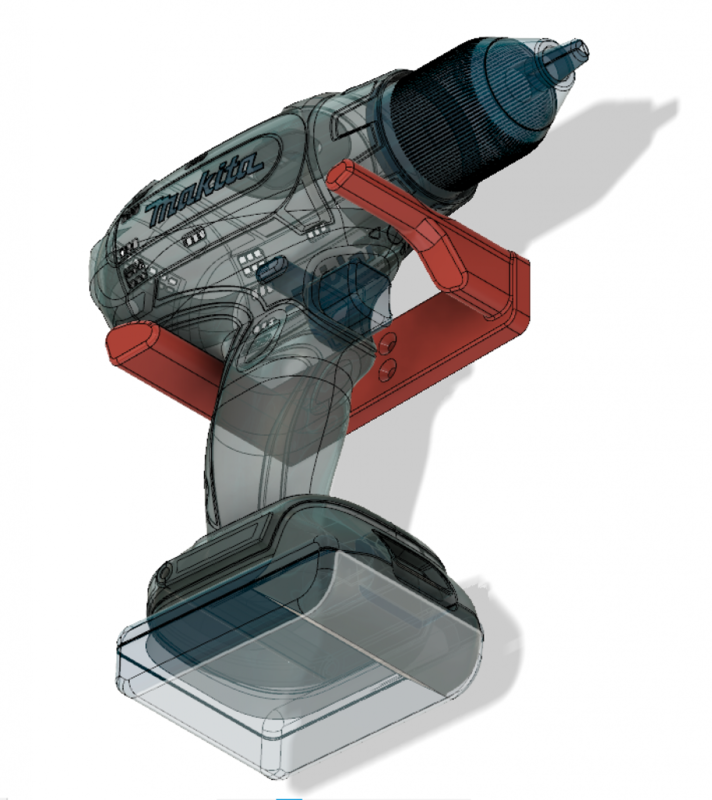 I found a really impressive CAD model for a Makita drill here. This helped me not have to carefully measure my as-built drill.